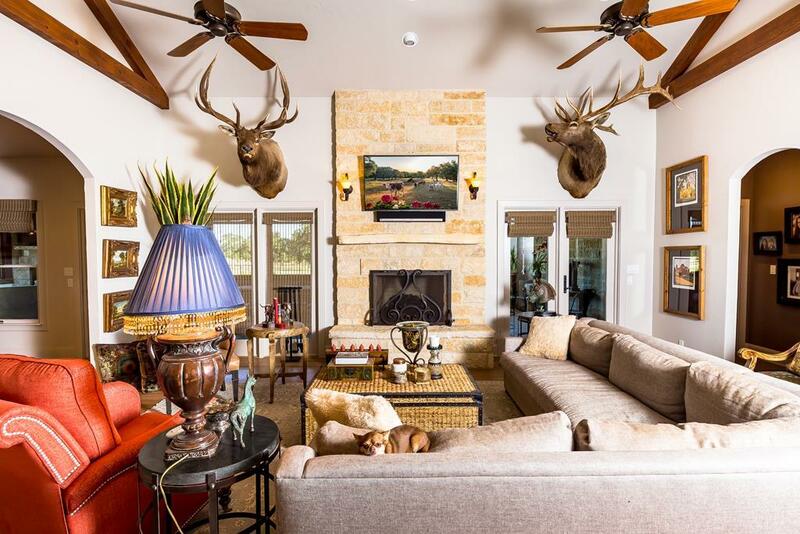 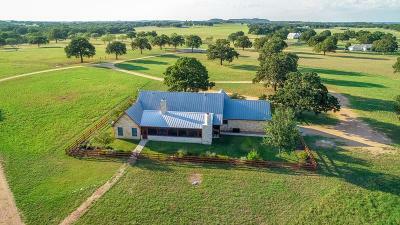 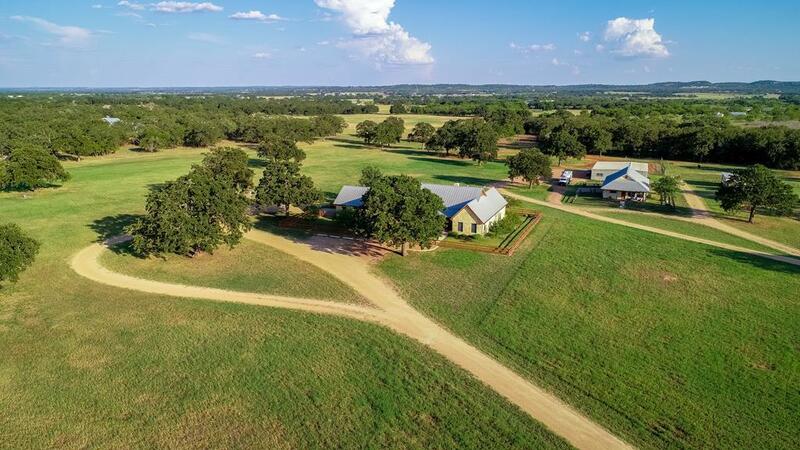 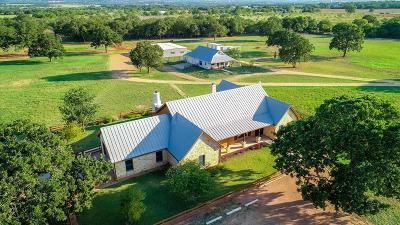 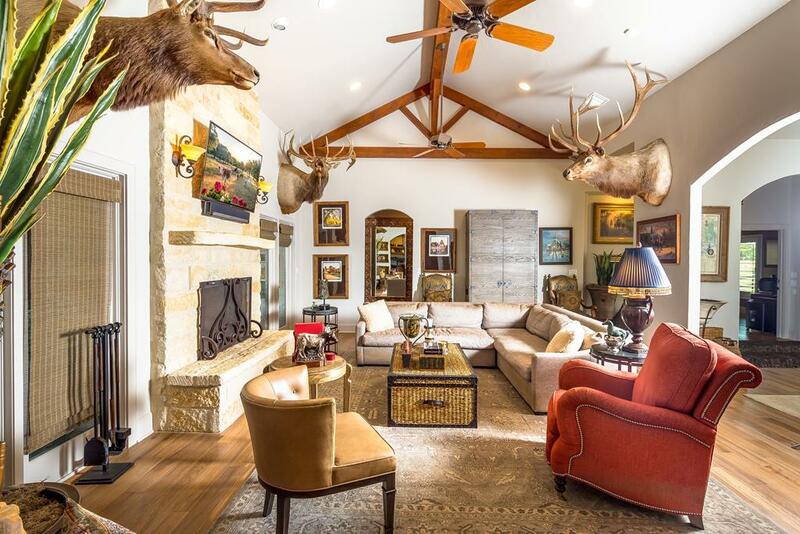 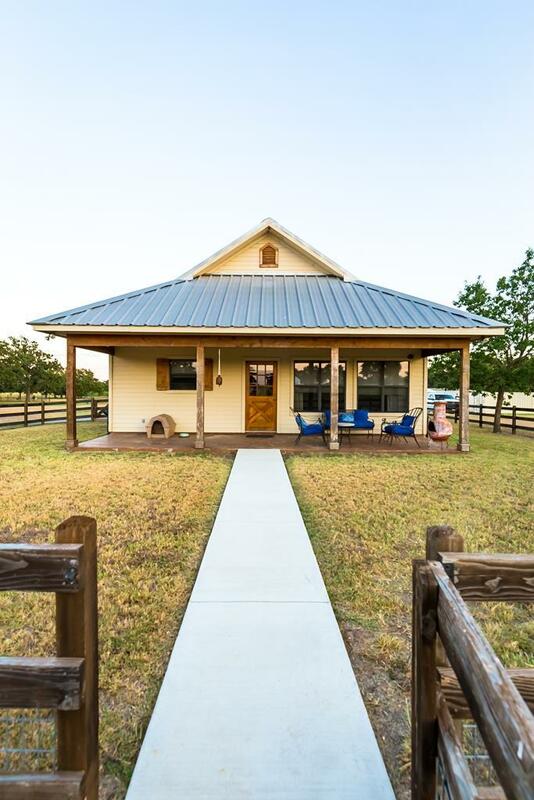 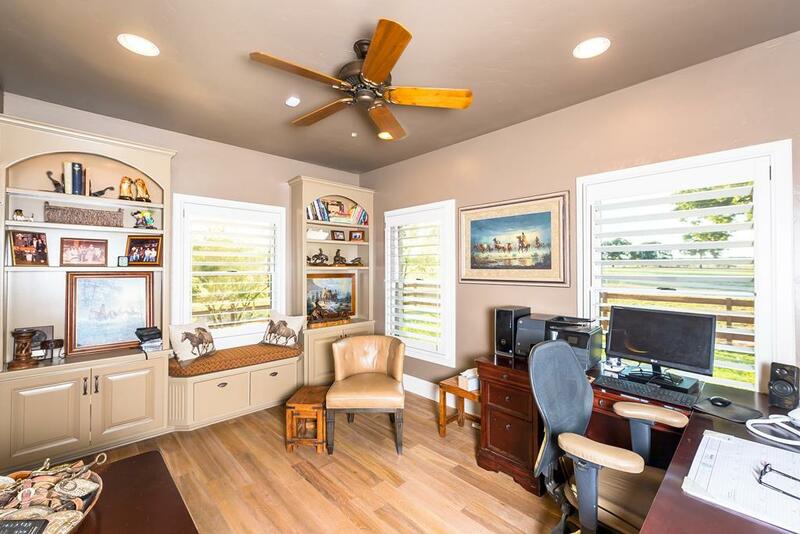 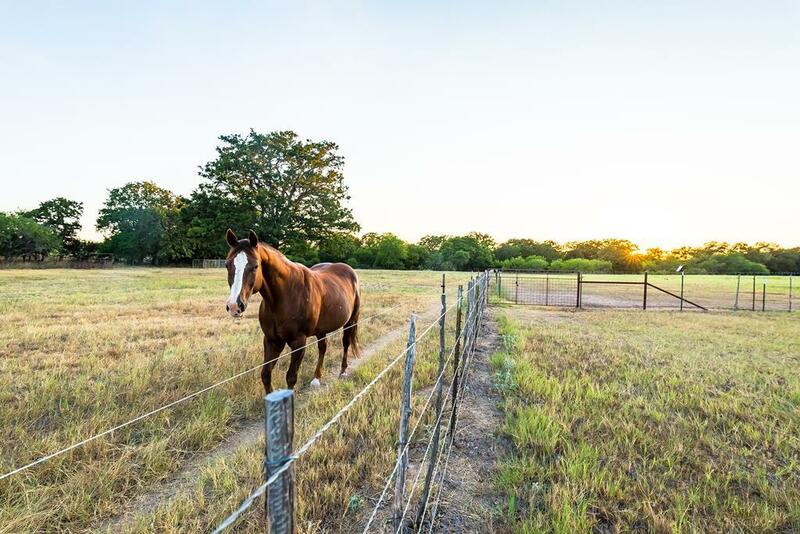 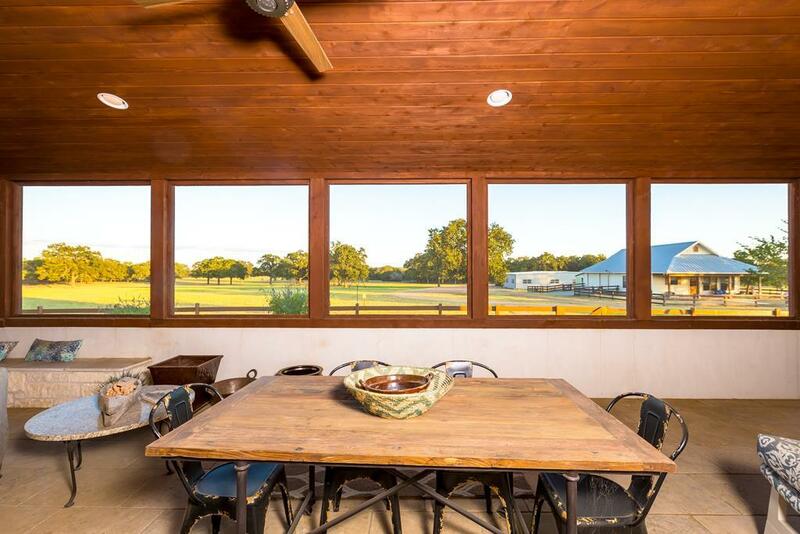 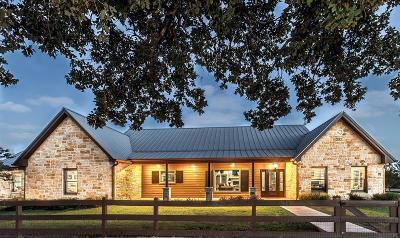 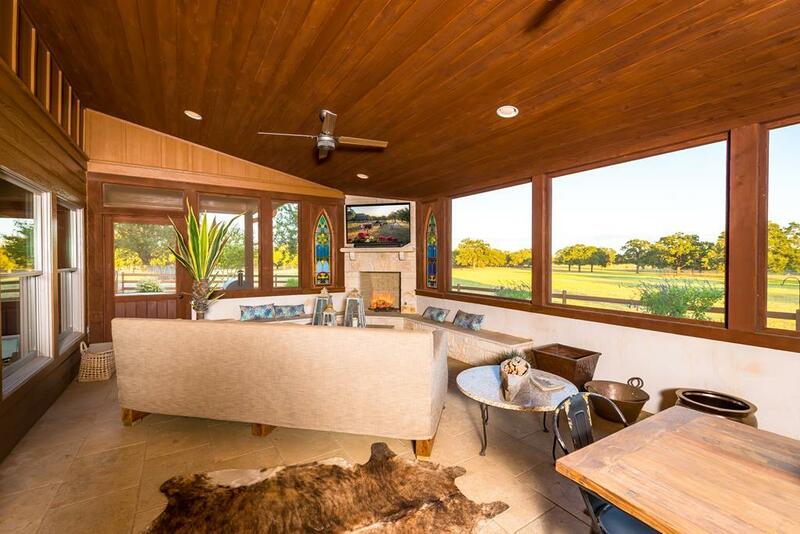 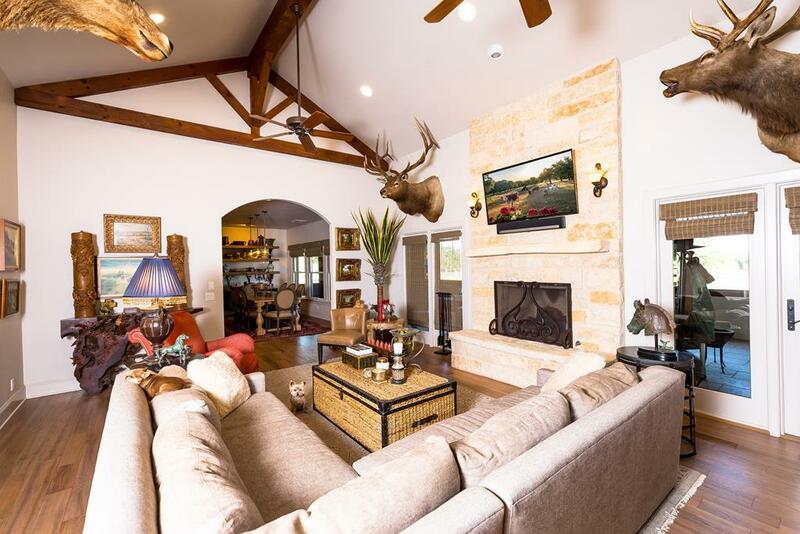 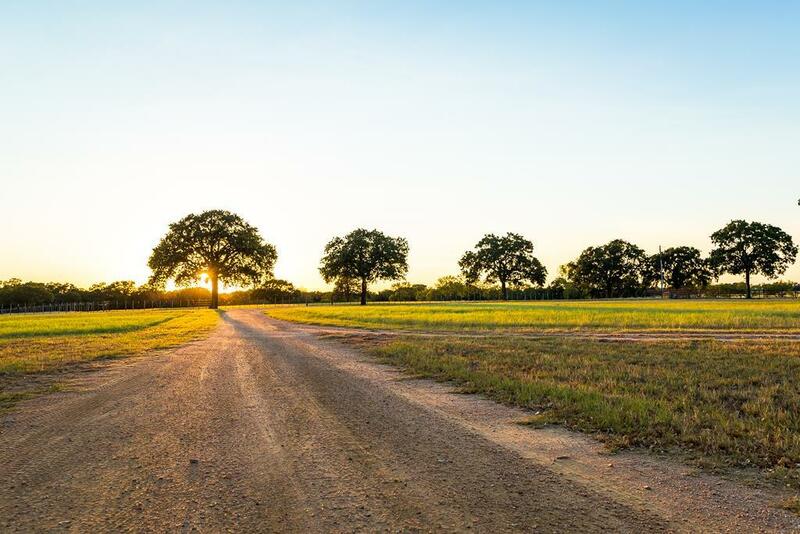 This Hill Country modern home lies among 24.14 +/- acres just 3.3 miles from Fredericksburg's Main St, affording the convenience of the city and the peacefulness of ranch life. 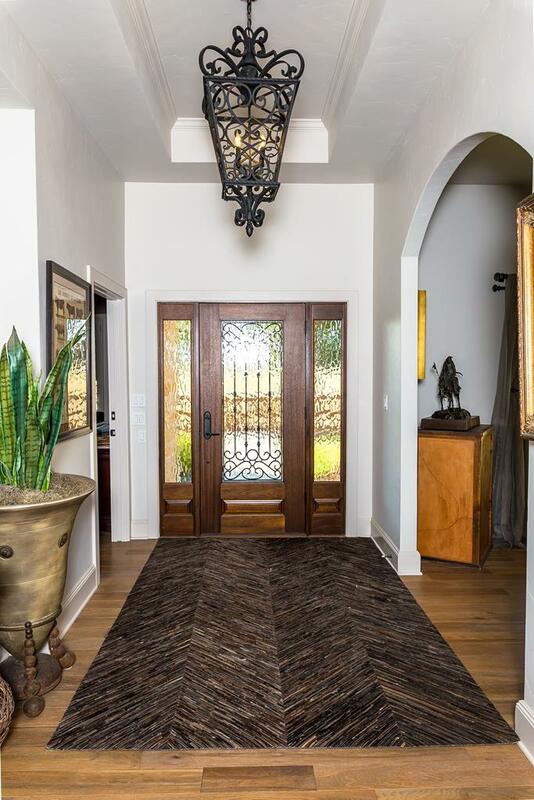 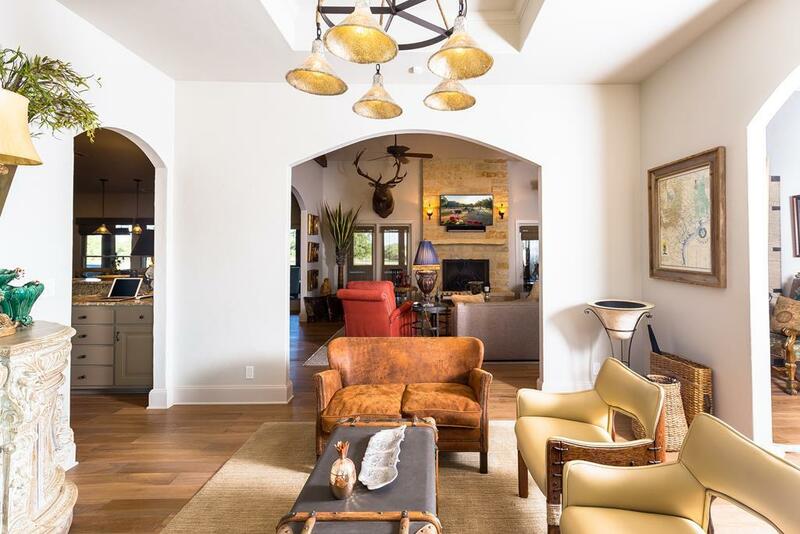 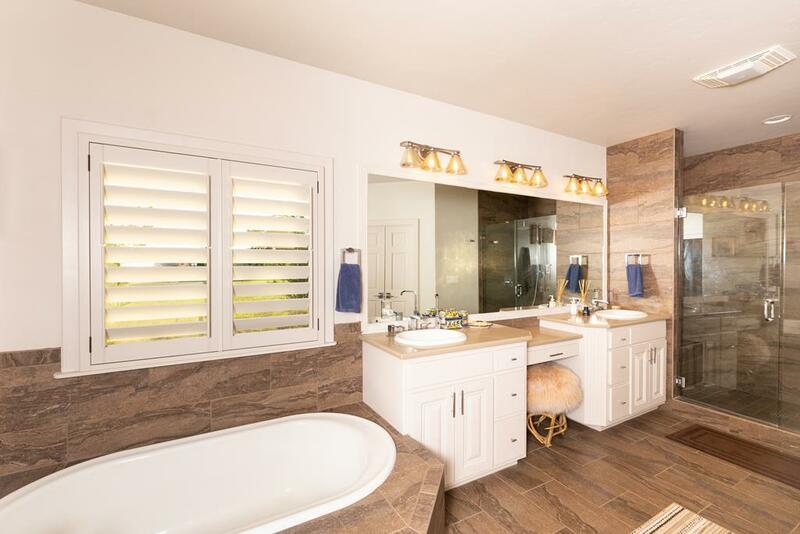 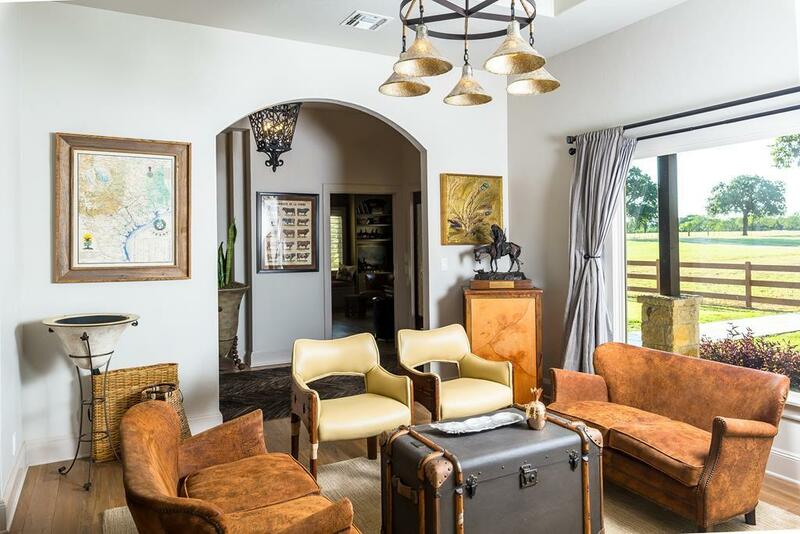 The 2, 759-sq.-ft. main house was completely renovated in 2016 and features vaulted ceilings, wood beams, stone fireplaces, large master suite and travertine flooring. 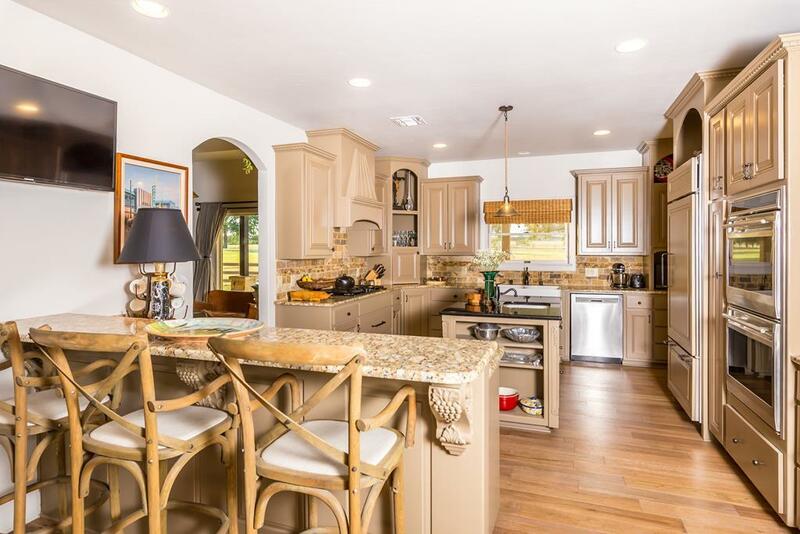 The open-concept kitchen/dining room has custom cabinetry and an inviting feel, perfect for entertaining. The property includes a 660-sq.-ft. guest house, 2, 640-sq.-ft. barn and 3 water wells (50, 60, 100 GPM). 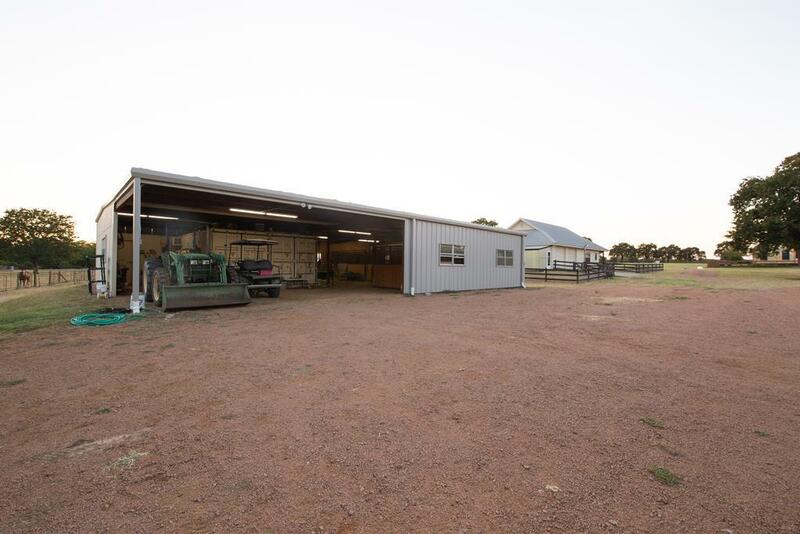 Additional 8.42 acres available.